Athens, Ga. – Pertussis, a highly infectious respiratory disease also known as whooping cough, can cause serious illness and death. The introduction of a vaccine in the 1940s led to a significant drop in infections worldwide, but in recent years cases of pertussis have been on the rise—and public health officials aren’t sure why. A new textbook, co-edited by the University of Georgia’s Pejman Rohani, UGA Athletic Association Professor of Ecology and Infectious Diseases, brings together current research from multiple disciplines to shed light on the resurgence of this deadly disease. Pertussis: Epidemiology, Immunology, and Evolution covers topics ranging from the complex biology of the disease to its public health consequences. It includes chapters on pertussis epidemiology, the human immune response to pertussis and its vaccines, the evolution and ecology of the Bordetella pertussis bacterium, and disease surveillance and diagnostics. The book grew out of a workshop organized by Rohani and colleagues to explore competing ideas for explaining contemporary pertussis ecology and evolution. They invited participants from a diverse array of fields, including microbiologists, evolutionary biologists, immunologists, epidemiologists, vaccinologists, public health policy decision makers, modelers and bioinformaticians. Rohani said that the book is intended for anyone interested in pertussis, or more broadly for researchers wishing to understand how a vaccine-preventable infectious disease can re-emerge. 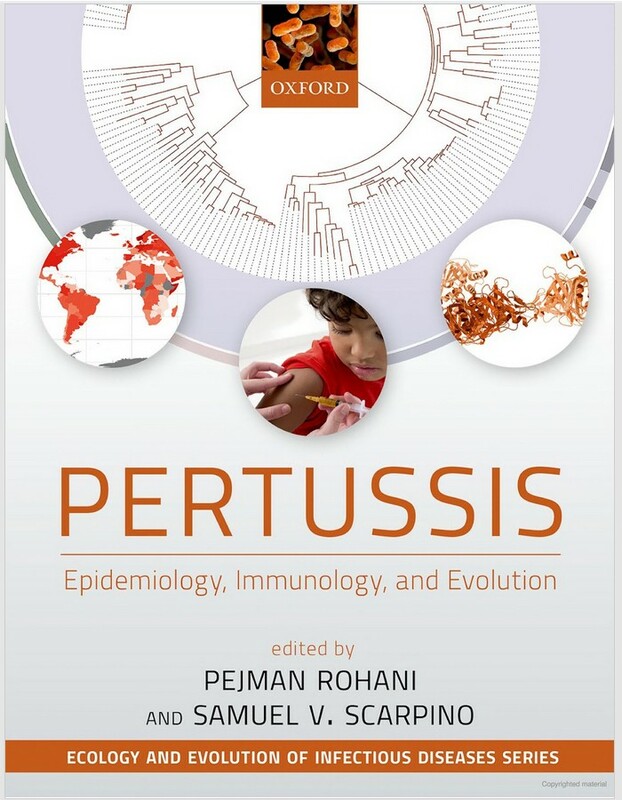 Pertussis is the first book in the new Ecology and Evolution of Infectious Diseases series from Oxford University Press in partnership with the UGA Center for the Ecology of Infectious Diseases. John Drake, Distinguished Research Professor of Ecology and director of the CEID is the series editor. Pertussis: Epidemiology, Immunology, and Evolution, is co-edited by Samuel Scarpino, assistant professor in the Network Science Institute at Northeastern University. It is available from Oxford University Press.